Nikon Rumors just released the information that they received a sample picture taken with the D800 and that the EXIF data really says it will have 36 Megapixels. That is 7360×4912 Pixels. Hell. I am still very confused about the 36 MP issue. I can’t get my head around one thing: Thrice the amount of pixels on the same sensor area => Pixels are smaller => Sensor is more susceptible to noise. Can the algorithms compensate this to achieve the same noise performance as the D700 ?? It makes no sense ! 1.) Nikon is pulling some stunt with a 3 x 12MP sensor which would pretty much represent a new sensor technology. In the past “something revolutionary” has been mentioned to come up next, so this is not completely off limit. 2.) Nikon is targeting another market with the D800. Perhaps they want to win more fashion photographers who used middle format cameras (Hasselblad H4D: 31 MP). 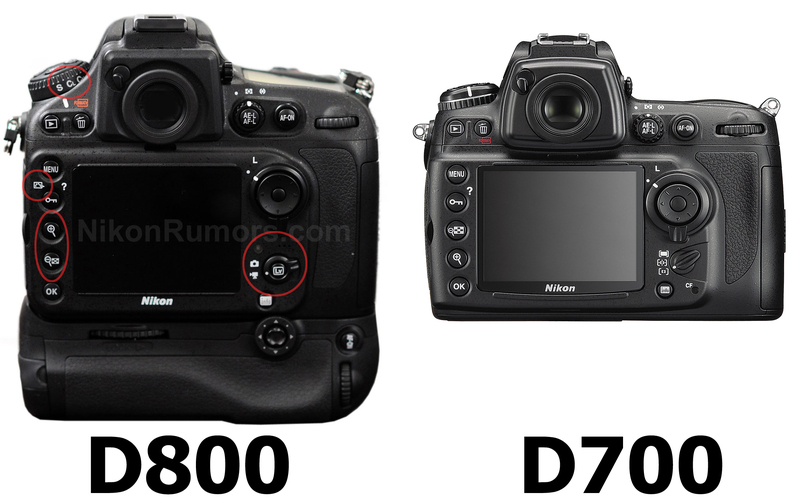 Then there would be another successor of the D700. I rate this unlikely. Firstly we all know the fashion guys don’t shoot middle format because it has more megapixels, secondly if Nikon pursued another market with the D800 they would probably have given it another name. 4.) (I just invented this) The D800 will have a “pixel combination mode”, which takes two or three pixels and averages the value. In total this would be a 12 or 18 MP picture with better noise performance since the average value from several pixels is taken. I don’t know if this makes sense technically, just conjuring this up as I write it. The idea behind it could be: “Give them 36 MP so that we have a buffer for the future if the market demands such high MP values, BUT also give an option to receive smaller RAW files with better noise performance”. 5.) It is a fake. Somebody stitched several images together and cut it to the dimensions and somehow faked the EXIF data. Possible, although the guys at Nikon Rumors are quite competent and I think they would realize such a spoof. Whatever it will be – we will learn more after the announcement of the product. Whenever that will be. These 12MP images should have a much better quality than what we see today with AA-filtering in front of our sensors. Alternatively, it should be straightforward to increase the pixel count on the output image to 36MP and get the quality we’re used to (just my gut feeling, I am to lazy to do the math on a Sunday afternoon).